I admit I am tempted to write something fanciful and perhaps even less than truthful today. It may be April Fool’s Day, but I see no reason to compromise my high standards of journalistic integrity just for a few quick, cheap laughs. Instead, return with me now to October of 1976. Here I am in Forest Grove, Oregon, the garden spot of the Pacific Northwest. 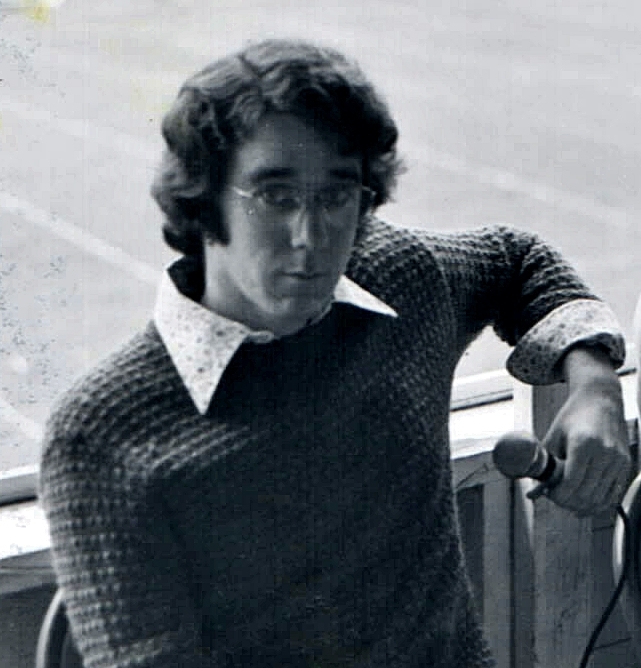 I spent most of my time in the fall of ’76 talking into microphones or pointing them at other people who had something to say. Here’s a recording from that glorious month. In it, your resourceful teenage reporter, thirsty for the truth, looks for a few honest words from the student body of Pacific University about a topic of great interest: the food service! I’m sure you’ll be surprised to discover that the college kids of the Jerry Ford era were entirely satisfied with how kindly they were being taken care of.